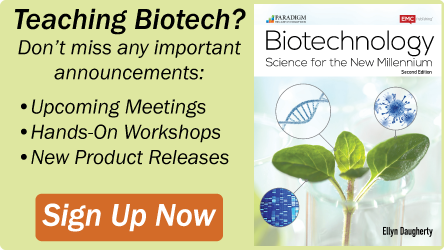 Our Bioscience Excellence™ Molecular and Genomic Studies Kits introduce students to molecular cloning techniques, including restriction digestion, ligation, bacterial transformation and protein expression. Other techniques include the polymerase chain reaction and bacterial conjugation. 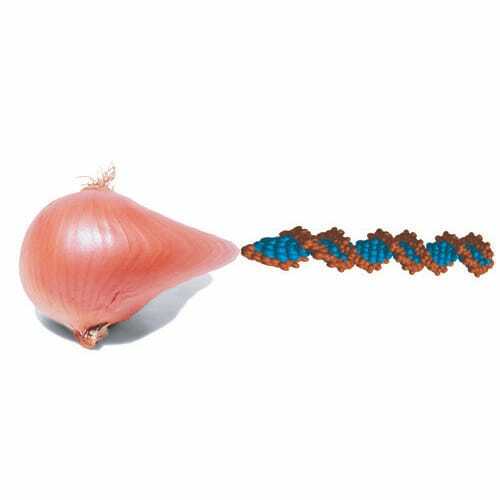 Bacterial conjugation is a naturally occurring process that allows the transfer of DNA from one bacterium to another, which allows the transfer of genetic traits, particularly drug resistance. 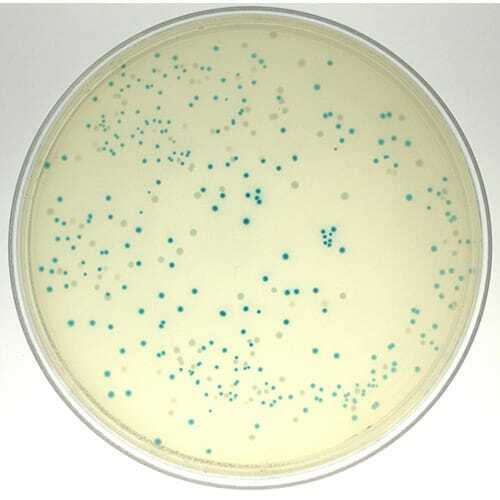 The Bacterial Conjugation kit contains two bacteria with different drug resistance genes an..
Bacterial transformation allows researchers to insert their recombinant DNA into bacteria, which then multiply making more copies of the transformed bacteria. The transformed plasmid can also be used by the bacteria as a template to make recombinant protein. Students will explore the.. 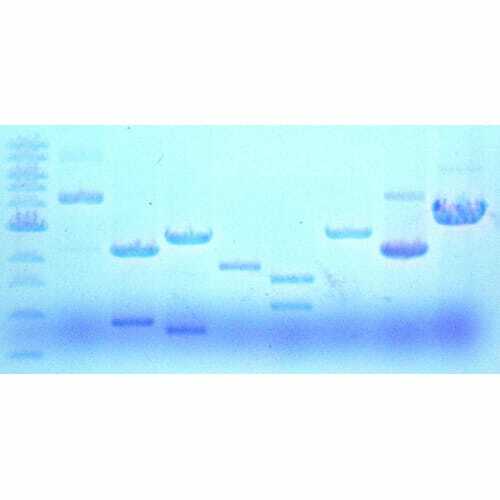 This kit is designed to teach 8 groups of four students the principles of the polymerase chain reaction (PCR) The kit contains the reagents to allow students to: Set up multiple PCR reactions using pAmylase plasmid DNA and bacterial genomic DNA templates Set up a PCR negative control&nb.. 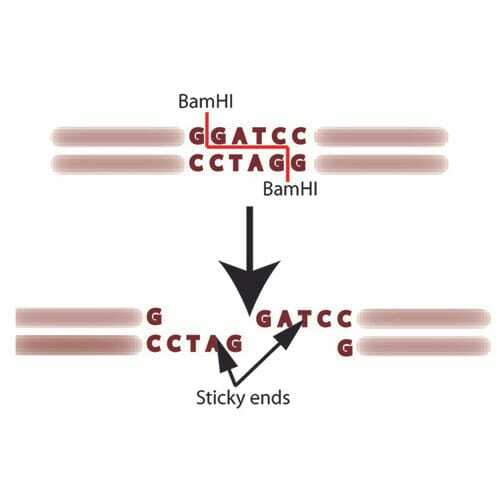 Following restriction enzyme digestion of DNA molecules, researchers need to rejoin the ends of the DNA to generate recombinant DNA, a process known as ligation. Ligation of DNA is achieved with the bacterial enzyme T4 DNA ligase, which catalyzes the formation of phosphodiester bonds. .. Restriction enzymes are DNA-cutting enzymes found in bacteria and as they cut within the molecule, are often called restriction endonucleases. A restriction enzyme recognizes and cuts DNA only at a particular unique sequence of nucleotides, allowing for restriction sites to be mapped. The D.. The final goal in molecular biology is often the expression of a recombinant protein. 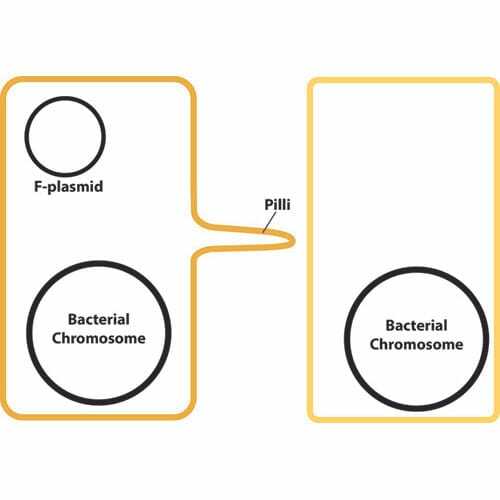 The transformed plasmids can be used as templates by the bacteria to produce protein. 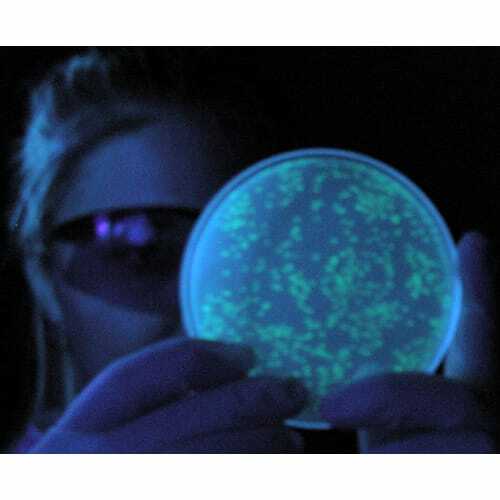 Students learn about essential promoters and other elements necessary for successful protein expression in bacteria, in..
A major goal of genetic engineering is to have the ability to correct genetic defects to treat genetic diseases, such as cystic fibrosis, sickle cell anemia and Huntington’s disease. 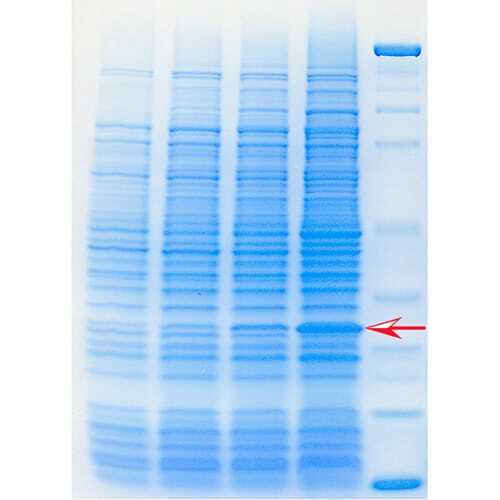 One technique to correct genetic defects in bacteria is to introduce the corrected gene back int..
Agarose gel electrophoresis is a routinely used tool for separating nucleic acids. 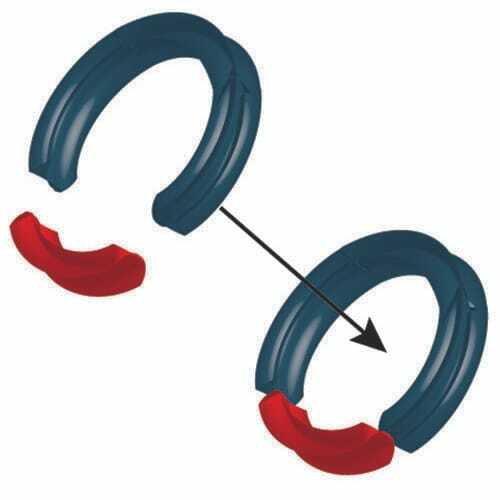 Nucleic acids are negatively charged molecules, which when loaded onto the solid agarose matrix, migrate in the presence of an electric field, separating the nucleic acids by size. 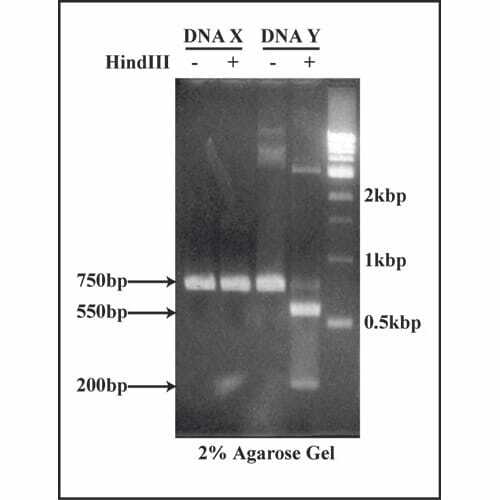 This kit pro..
Genomic DNA isolation is a crucial technique in molecular biology, genetic manipulation and biotechnology. To carry out these exciting and innovative sciences, researchers require an original source of DNA, which is easy to acquire as it is found in every living organism. 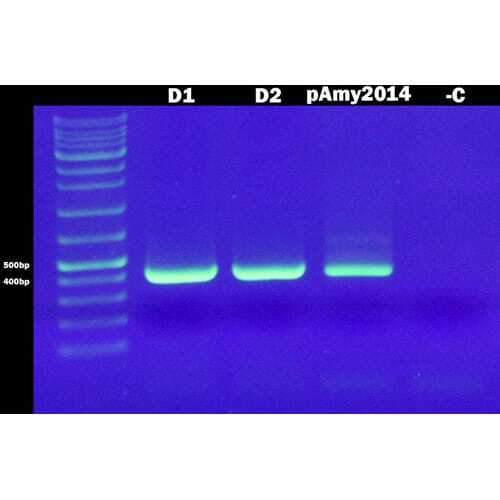 Genomic DNA is ..
A PCR Based Laboratory Research Experiment. A major challenge for molecular biologists and genetic engineers is to easily detect and analyze genetic mutations that occur naturally, causing diseases, or during genetic engineering or cloning, whether deliberate or accidental. Students l.. 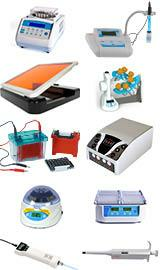 The kit utilizes the principle of diffusion of nucleic acids on a nylon membrane to determine their concentration. No spectrophotometers required. 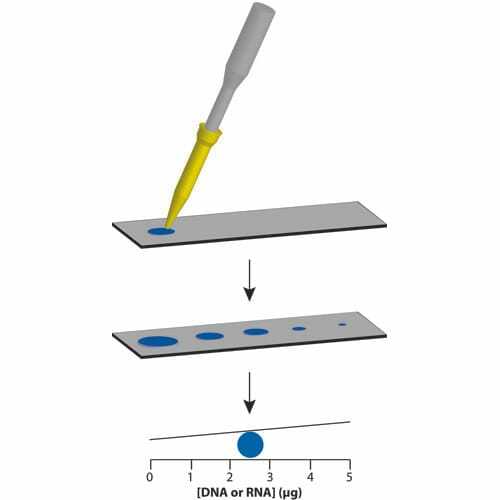 Nucleic acid concentration can be measured by measuring the diameter of diff used nucleic acid spots or comparing the color density of the spots.. 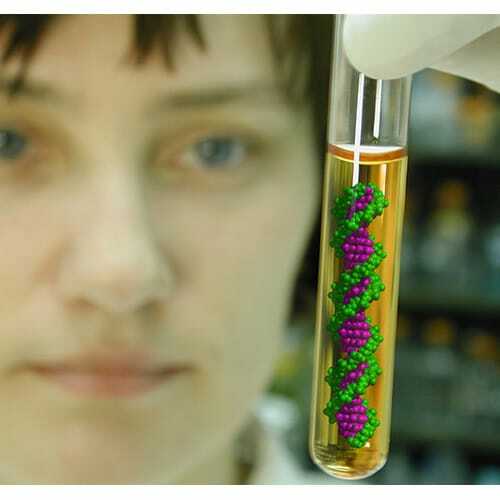 Isolation of genomic DNA is an essential technique in modern research science, particularly molecular biology and biotechnology. Genomic DNA is purified from a multitude of sources including mammalian tissue, such as cheek cells (BE-303), plant cells or bacterial cells. These kits use deterg..